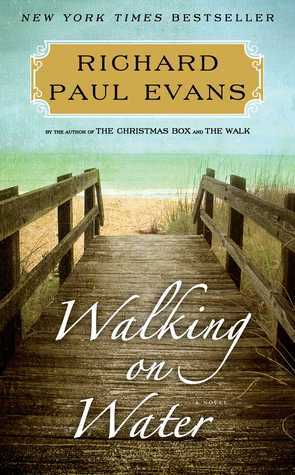 In the first book of Richard Paul Evans's The Walk series, Alan Christofferson loses his wife and his business and decides to walk across the country to get his head back in shape. Walking on Water is the fifth book, and Alan is still walking. When the book opens, he's almost to the Florida state line, and then he gets the call to come home to see his dying father. I was glad for the reprieve from all of the walking. When Evans writes about Alan walking, we know exactly what he ate for every meal of every day, and how well the food sat after he ate it. We know all about the pebbles that worked his way into the shoes, and about every single car that passed him as he walked. Or at least, it feels like we got those details, because the books are incredibly heavy on detail. The book is strongest when it delves into the family history of the Christofferson family, and suddenly the walk to Key West gains some significance. But all in all, this series felt a lot like a grueling walk from one corner of the country to the other. I hope Alan flies home.